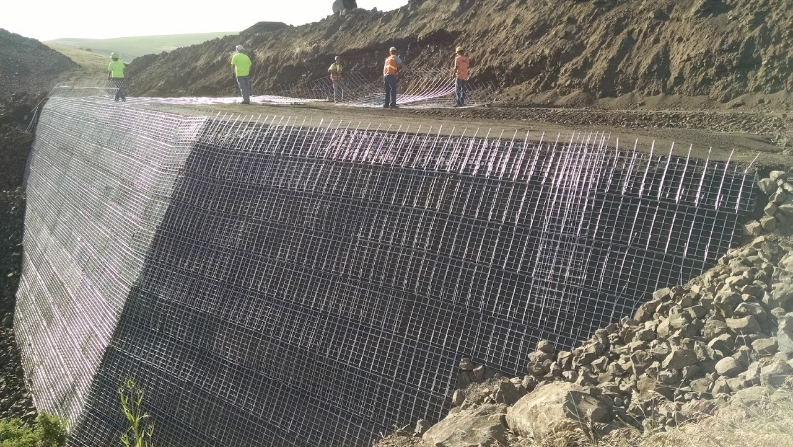 HMH worked with Nez Perce County and the Local Highway Technical Assistance Council on this safety project that consisted of new warning signs and guardrail on two corners of Webb Ridge Road. The narrow width and winding alignment as well as a history of accidents justified the need for this project. Four hundred feet of guardrail and end terminals as well as advance warning signs were installed at two corners on Webb Ridge Road. HMH worked with the Contractor and the County to layout the installation of the new signs and guardrail and provided project management and inspection for this project.